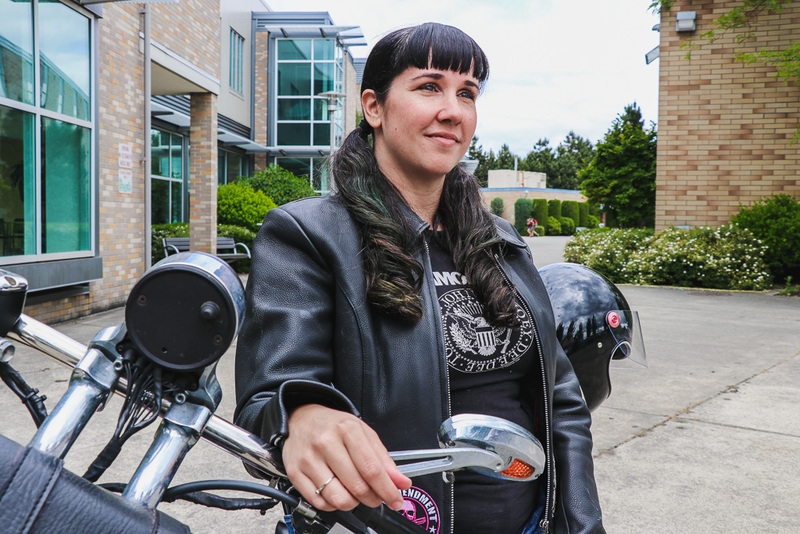 Wearing a black Ramones T-shirt that shows off her colorful tattoos, her black hair pulled into two long ponytails, Rachel Houghton recalls her younger days. “I was a bartender and a punk rocker with no responsibility,” she said. But when she became a single mom to two kids, that lifestyle wasn’t working for her anymore. She needed regular hours, health benefits, a consistent paycheck, and a career with a future. 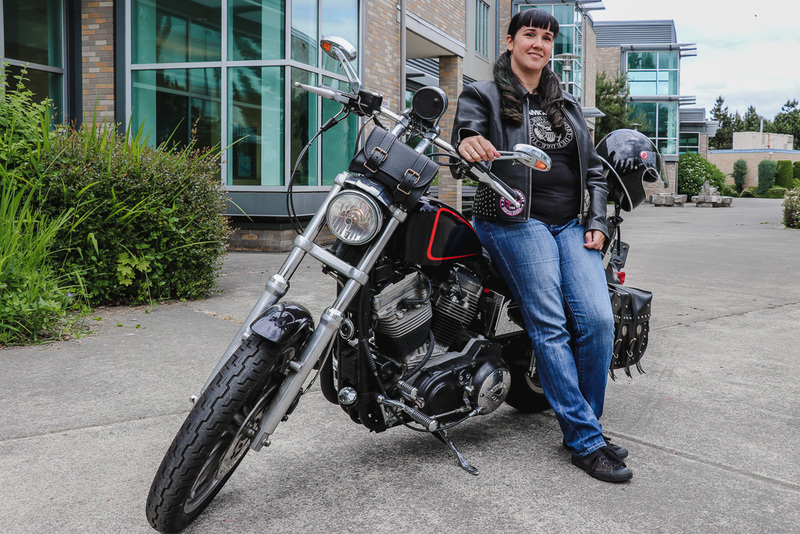 Houghton had always had an interest in computers, so at age 29, the Hazen High School graduate decided to see what Renton Technical College could offer her. She brought her paperwork showing her income and food stamp benefits to advisers at the college and left with the knowledge that she qualified for grants and financial assistance that would cover her tuition and expenses. She immersed herself in the computer science courses and persevered through the hard times, like daycare dilemmas, tough courses, and self-doubt. Diagnosed with dyscalculia – which makes understanding numbers difficult – Houghton struggled with math. She sought tutoring and taught herself ways to overcome her brain’s tendency to jumble numbers, and she excelled. She was named to the RTC All-Washington Academic Team. During her capstone project, she was offered a job at a startup and went to work right after her 2011 graduation with her applied associate’s degree in computer science. Two weeks after she started, she was promoted because of the knowledge she gained at RTC. She has continually moved up in the field, and now works as a technical consultant at an international corporation that manages business travel and expenses. She was recently selected to mentor a new hire, and she’s completing her bachelor’s degree at WGU in data analytics. Her son has joined the Marines, and her 12-year-old daughter already talks about going to college. And she achieved another goal: She bought her own motorcycle.